Examination in flux. Made during the gulf oilspill. The translucent and reflective structure dramatically changes in different lighting conditions. 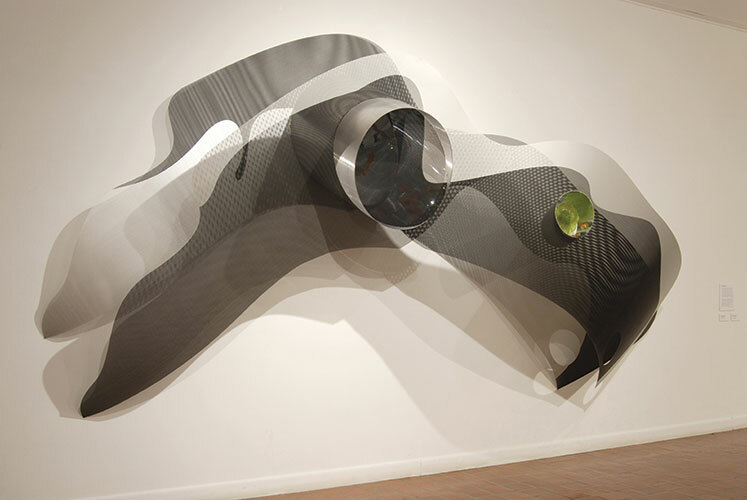 Interactions between the transparent, perforated metal layers create animated moire patterns that vibrate with the viewer's shifting perspective.